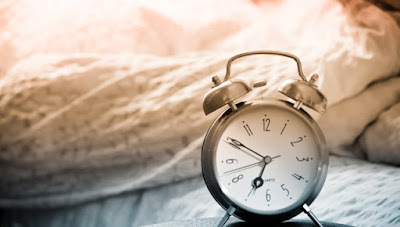 Lucia's Blog: IT IS TIME TO WAKE UP! "Do this, knowing the time, that it is already the hour for you to awaken from sleep; for now salvation is nearer to us than when we believed. 12 The night is almost gone, and the day is near. Therefore let us lay aside the deeds of darkness and put on the armor of light. 13 Let us behave properly as in the day, not in carousing and drunkenness, not in sexual promiscuity and sensuality, not in strife and jealousy. 14 But put on the Lord Jesus Christ, and make no provision for the flesh in regard to its lusts." Recently, I've been thinking about alarm clocks with a "snooze" button to help us wake up in the morning. When the alarm goes off, we can hit that button and go back to sleep. I usually do that! Ten minutes later, the alarm will go off again. I see two problems with snooze alarms. The first problem is that one can keep hitting the snooze button and go right back to sleep running the risk of being late or missing out on something. The second problem is that although one can keep hitting the snooze button, he may get used to the sound of that alarm and stop hearing it at all and run the danger of sleeping right through the alarm. God sometimes sounds an alarm in our lives and calls us to wake up and follow Him. Sadly, most people hit the snooze button and say, "Not now Lord, call me again a little bit later." They will hit that snooze button so many times that they don't even care that God is calling. We must take down our "do not disturb" signs, come out of our comma, snap out of our slumber and awaken from our apathy. And though God's alarm has been going off for many years, many Christians prefer to sleep, refusing to wake up and listen to their Creator. It is about time we wake up from our slumber, for our world is getting worse and worse each year! Many Christians are doing very little or almost nothing. We make no change in our manner of living, either in our personal life or in the church. We have obligations before God that we must fulfill to be pleasing and acceptable to Him. We must snap out of our slumber and wake up, for we must know the time! In Romans 13:11-14, Paul is concerned about the passage of time and we must be likewise. Have you considered how fast time flies? The thought of Christ's return compels us to be prepared for His coming. It draws nearer. And though we don't know when He is coming again, we do know that He will come at an unexpected time. The Scriptures constantly remind us that "the time is short." (1 Cor. 7:29). "The Lord's coming is near." (James 5:8). "The end of all things is near." (1 Peter 4:7). "This is the last hour." (1 John 2:18). And "the time is near." (Rev. 1:3). Our text begins with the phrase, "Knowing the time." Although God is not bound by time on this earth, He is indeed keeping time on this earth. He is planning a time when He "will come like a thief, in which the heavens will pass away with a roar and the elements will be destroyed with intense heat, and the earth and its works will be burned up." Knowing this, we must be prepared because all these things are to be destroyed. We must make plans, set our goals and look to the future that we might be found living holy and godly lives. "Therefore, beloved, since you look for these things, be diligent to be found by Him in peace, spotless and blameless, 15 and regard the patience of our Lord as salvation... You therefore, beloved, knowing this beforehand, be on your guard so that you are not carried away by the error of unprincipled men and fall from your own steadfastness, 18 but grow in the grace and knowledge of our Lord and Savior Jesus Christ. To Him be the glory, both now and to the day of eternity. Amen." (2 Peter 3:14-18). How many people die every day ready to meet their God? Although we don't know when we will die or when the Lord may come, we must be ready, that is, prepared to meet Him. Thus it is time to wake up, for the night is almost gone, and the day is near. The darkness of sin is passing, for Satan has had his day far too long. Mankind has had every opportunity to repent and overcome sin. So often, we fail to acknowledge the slow and cumulative effect of sin in our lives. Many are living a fairy tale kind of life refusing to live for Christ and do His will. They refuse to accept the ultimate destination of their soul. Many are lovers of pleasure rather than lovers of God. So play and pleasure rules their way of living. They refuse to acknowledge the Truth: the reality that life will come to an end and they'd better be prepared! The truth is that they must seek the Lord in all things and do His will the best they can to be prepared for their end of life. According to God's will, our purpose in life must be that of living holy and godly to please God. Life must begin with God and must end with God! Understanding this, the time has come to wake up from our slumber because salvation is nearer now than when we first believed. "Do this, knowing the time, that it is already the hour for you to awaken from sleep; for now salvation is nearer to us than when we believed. 12 The night is almost gone, and the day is near." It begins by seeking and knowing Jesus. Paul urges the Roman Christians to wake up! Why? Because of the nature of time and because time is short here on earth. Our world is getting worse and worse day by day. So, what are we Christians doing? Has our way of living changed to accommodate our world with its worldliness and ungodliness? Are we seeking to be like Jesus more and more, the way He demands that we live? Are we seeking to make this world better by teaching them the Gospel Message to change their sinful way of living? Paul is speaking about awakening from spiritual sleep. Sleep is a figure that implies moral inattention, indifference and carelessness which permits sin. The Lord has exhorted us to not sleep as others do, but to watch and be sober. He wants us to awaken to righteousness and stop sinning. He wants us to arise from the dead so that Christ can give us His light. Paul makes an urgent plea to the Roman Christians and it is a plea to us as well today, for our eternal salvation is nearer than when we first believed. So when is that day of salvation? Mark 13:32 gives us an answer. "But concerning that day or that hour, no one knows, not even the angels in heaven, nor the Son, but only the Father." Also, Paul spoke of that day saying, "For you yourselves are fully aware that the day of the Lord will come like a thief in the night. 3 While people are saying, “There is peace and security,” then sudden destruction will come upon them as labor pains come upon a pregnant woman, and they will not escape." (1 Thess. 5:2-3). Peter spoke of that day saying, "But the day of the Lord will come like a thief, and then the heavens will pass away with a roar, and the heavenly bodies will be burned up and dissolved, and the earth and the works that are done on it will be exposed." (2 Peter 3:10). John said of that day, "Remember, then, what you received and heard. Keep it, and repent. If you will not wake up, I will come like a thief, and you will not know at what hour I will come against you... Behold, I am coming like a thief! Blessed is the one who stays awake, keeping his garments on, that he may not go about naked and be seen exposed!" (Revelation 3:3; 16:15). So what shall we do then? We must be vigilant in this present time, (Romans 13:11). We must understand the present time like the men of Issachar "who had understanding of the times, to know what Israel ought to do." (2 Chronicles 12:32). We must understand that this present time is the age of salvation, grace through the Gospel of Jesus Christ. This age or season began with the church in Acts 2 and will not end until Jesus our Lord comes again. God has given us wisdom and part of that wisdom is to understand that our time is short and that we must be on the alert for Jesus' return. Thus we must increase our watchfulness. Sadly, many people are hypnotized by the rhythm of life and this culture as if it had no bearing on eternity. Some dare to laugh at those who warn them of Jesus' return, (2 Peter 3:3-4). "For now salvation is nearer to us than when we believed." According to this Scripture, how can our salvation be closer if it has already happened? Weren't we saved through the plan of salvation? Well, our salvation has three tenses: past, present, and future. Justification - past salvation is the moment when we obeyed God, His Gospel (we believed, repented, confessed and were baptized) and our sins were washed away by the blood of Christ. We were sealed by the Holy Spirit, and Jesus' blood redeemed us from our sins. It was the moment we were buried with Christ in His death, burial, and resurrection through baptism to remove our sins, (Romans 6:4, 6-7). Present salvation is the ongoing process of growth, (Romans 12:1-2). It is where we are growing in Christ and living a holy life. Through our justification in Christ, we are sanctified, (2 The. 2:13; 1 Thess. 5:23). There is no salvation apart from sanctification. If one does not walk by faith and desire to grow and be holy, then neither is he being justified. There must be a change. Future salvation is glorification. This is when the Lord Jesus comes back for His church, (1 Peter 1:21). We will finally be freed from the presence of sin, (Revelation 21:27). This day is "nearer than when we first believed." When Jesus rose from the dead through the power of God, He ascended to heaven where He was glorified as King of kings and Lord of lords. One day we will be raised from the dead with a new body, and we will be glorified and go to heaven to be with Christ, (1 John 3:2). Romans 13 talks about our final salvation which is nearer than we first believed. So knowing that our salvation is nearer than when we first believed, let us wake up and listen to His voice and spend time knowing Him better through His Word that we might be able to imitate Him in everything. Let us spend more time in prayer and let us tell others the way of salvation that they might be saved from the wrath of God. Every day that we sleep is a lost opportunity to serve. Remember, the devil is prowling about, seeking to destroy us. Therefore, we must lay aside or cast away the works of darkness, (John 3:20). We must have no fellowship with the unfruitful works of darkness but rather expose them, (Eph. 5:11). Wake up and get busy! For the end of time is almost here and we don't have much time to waste. We must go about our Father's business and do the work Jesus has left us to do for Him, which is saving souls! "Therefore let us lay aside the deeds of darkness and put on the armor of light. 13 Let us behave properly as in the day, not in carousing and drunkenness, not in sexual promiscuity and sensuality, not in strife and jealousy. 14 But put on the Lord Jesus Christ, and make no provision for the flesh in regard to its lusts." As God's children of Light, we must wait victoriously, (Romans 13:14) putting on the armor of Light. The whole armor of God is the Truth or the Gospel, (1 Thess. 5:8). God's armor is a defensive weapon against temptation, (Eph. 6:11). It is an offensive weapon against the power of evil or darkness, (Eph. 6:17). It is a fighting harness that provides us with service to Christ, (2 Peter 1:3). It is the proper garb of righteousness, (Phil. 3:9). If darkness is to flee from us and we must resist the devil, we must put on the armor of light and submit to God's will. God's children are of the light and sons of the day. We do not belong to the night or darkness, because we are sober, on the alert, and self-disciplined, (1 Thess. 5:4-6). We must fight the dark side, grow up, stop acting like children and put aside the deeds of darkness. When we allow the Light to guide our footsteps, there will be no room for any kind of darkness or evil. When we fill up our lives with God's will, we find the cure for the deeds of darkness, filling up our life with the deeds of righteousness. Thus, we must put aside the deeds of darkness and put on the armor of Light. We cannot afford to let Satan reign in our hearts. Christ alone must reign there. He must be the only one who is allowed to rule our hearts. We must not let darkness be more prevalent. We must not be insensitive to the deeds of darkness even though we are surrounded by them. We need to keep them out! Those in Christ have already put on Christ, (Gal. 3:27). Those in Christ have been commanded to put on Christ, (Rom. 13:14). Those in Christ have already put on the new self/man, (Col. 3:10). Those in Christ are commanded to put on the new self/man, (Eph. 4:24). Those in Christ must put on the whole armor of God, (Rom. 13:12; Eph. 6:11, 14; 1 Thess. 5:8). Those in Christ must put on love and other virtues, (Col. 3:12; 3:14). Those in Christ will one day put on imperishable, immortal, heavenly bodies, (1 Cor. 15:33). Those in Christ have already put off self/man, (Col. 3:9). Those in Christ are commanded to put off the old self/man, (Eph. 4:22). Those in Christ must put away all sin and all evil or lawlessness: sinful, bad habits, vices, (Eph. 4:25; Rom. 13:12; Heb. 12:1; James 1:21; 1 Pet. 2:1). Our walk refers to our conduct. This Scripture speaks of a positive walk, that we must walk. There is also a negative walk in which we must not walk! For Christians, there is a code of behavior, for we are children of the day and not the night. This leads us to how we must not walk: "not in carousing and drunkenness, not in sexual promiscuity and sensuality, not in strife and jealousy." Children of Light, do not walk in sexual immorality and debauchery, dissension and jealousy (seeking to tear others down to make us feel better), but rather we renounce these practices. Sadly, self-centered Christians are more concerned with ego than with Christ, edging God out. In the light of our salvation, we must lay aside the deeds of darkness; behave properly as in the day, and put on the Lord Jesus Christ. This is talking deliberately, purposefully, significantly and permanently about putting aside the things of the old life, the old man of sin. The old life or the old man must die and not be conformed to the pattern of this world. As those who have been raised to live in newness of life, we must not give into temptations or make concession to sin. We must take off our "night clothes" of sin and put on our day clothes of righteousness. We cannot be Christ's followers and live our old, sinful life as well. Rather, we must be continually putting on the Lord Jesus Christ and taking off the flesh at the same time, denouncing the old, sinful habits and removing them. We put Christ on and imitate Him! So we must acknowledge that Christ is coming again and that we must be watchful, on constant guard against our old sinful ways. The good news is that the night (sinful life) is nearly over and the day (eternal life) is almost here. Because of this we must cast off or lay aside the works of darkness. Satan has already played all his cards, and we have victory on our side. As good soldiers, we must buckle on the "armor of light" and be prepared to make our stand! Jesus died that cruel death on the cross and conquered death that we might have redemption and the hope of eternal life, (1 Cor. 15:57). When the Spirit of Christ reigns and dwells in us, we cannot let evil enter our hearts. God abhors evil and sin. This is why He sent His Son to die so that He might conquer evil and death. When we obey the Gospel and are baptized into Christ, we are clothed with Christ, and He must live in us! We must live by faith, trusting Him and His Word completely. "And do not participate in the unfruitful deeds of darkness, but instead even expose them; for it is disgraceful even to speak of the things which are done by them in secret." (Eph. 5:11-12). The closer we walk in intimate fellowship with God, doing His will, the more spiritually aware we are going to be and the more we will expose the works of darkness. How then, do we expose the works of darkness? By merely rebuking them and not participating in them! The more we put on the armor of Light, the more we are going to shut the door to evil or lawlessness and refuse to take part in it and not welcome it to dine with us. We must keep our hearts airtight closed off from sin. Evil is opposite to the righteousness of God. We cannot mix righteousness with evil, for we have been commanded to hate evil and have no fellowship with it. We must reflect God's Light in our way of living. We must not justify evil as harmless. Unfortunately, evil comes in many forms: in our media, our books, our schools.... and it is marketed to our children and our people. Satan makes it look very appealing and popular. Satan is very astute and subtle in his evil ways. We welcome evil because we think it is cute. No! It is dangerous! Evil enters our hearts, our minds, and our souls slowly and steadily. It is a slow and gradual process that leads to the destruction of our souls. It hardens our hearts to righteousness, (Amos 5:15). The Word of God plainly exhorts and warns us not to be deceived, for God is not mocked. Whatever we sow, we shall also reap. If we sow to the flesh, then we will reap the corruption of our own flesh. Sowing to the flesh will lead to corruption. But if we sow to the Spirit, we will reap everlasting life. No one can escape that Truth! We Christian must sow seeds of faithfulness and righteousness. God expects His children to stand for righteousness and against the pleasures of this world. We must stand for the Truth and that which is right. Likewise, we must stand against that which is darkness and lawlessness! We are commanded not to love the evil things of this life, for if we love them, we are not loving God. God comes first, not the pleasures of this life: the lust of the flesh, the lust of the eyes, and the pride of life. We must oppose the works of darkness, for if we don't stand against them, we will be desensitized to sin, and we may begin to tolerate it in others, to accept those who practice it, to engage in sin ourselves and to defend the practice of sin. When we refuse to stand against the deeds of darkness and sin, we embrace it and even justify it. Therefore, we must hate every false way, (Psalm 119:128). We must hate sin and its dark works. We must stand against every form of error, doctrinally and morally. We must stand against the pleasures of the world. Otherwise, we will fall for them! You see, the devil is no fool, for he has plenty of devices, wiles, and snares to deceive us, (Eph. 6:11). He will get us if we let him! One of his most powerful tools of deception is the gradual acceptance of sin. For instance, if we refuse to stand against sexual immorality, we run the risk of practicing it sooner or later! If we don't stand against the works of darkness, we will sooner or later be practicing it, perhaps even without knowing it. Satan will be happy if we slowly proceed in his direction, with baby steps, steps toward destruction. It all starts by tolerating and embracing sin. Take heed! Although our Lord Jesus dwelt among sinners and ministered to them, He did not participate in their unfruitful works of darkness. He soundly rebuked them, laying them aside and not partaking of them. God hates sin and so must we, and indeed be imitators of Christ, (1 Cor. 11:1). The pleasures of sin, works of darkness, are temporary and do not bring us peace and satisfaction but condemnation, God's wrath. The Lord's church will not grow properly and be pure if we Christians don't actively oppose sin and its works of darkness. We must stand against sin and overcome it by putting on the whole armor of God. So, the hour has come for us to wake up from our slumber because our salvation is nearer now than when we first believed. The night is nearly over; the day is almost here. So let us put aside the deeds of darkness and put on the whole armor of Light. This puts urgency in our Message, for we have little time. Life in the flesh is night and eternity is day. Thus, we must surrender and obey Christ, grow and serve Him. God calls us to change and be transformed into His likeness, putting off the things of the night, sinful things, and putting on His armor of Light and living like Jesus our Lord. It is time to wake up, for the Lord may come today or we may stand in His presence much sooner than we expect! Are you ready? Let's not be arrogant, uncircumcised in our hearts and resistant to God's Truth. Let us love righteousness and hate evil by putting on the armor of Light in place of darkness. Let's make it our goal to imitate what is good and not evil. If we indeed are sons of God who claim to have fellowship with Him, let's then do good and hate darkness. Let's not be deceived by it and become enslaved to the evil works of darkness. Let's not be yoked with the fruits of darkness; let us not have fellowship with lawlessness. Instead let us be partakers of righteousness, loving and walking in His light. "You men who are stiff-necked and uncircumcised in heart and ears are always resisting the Holy Spirit; you are doing just as your fathers did." (Acts 7:51). So as true children of God, let us clothe ourselves with the Lord Jesus Christ. Let us act, talk and behave decently or properly as in the daytime like those who walk in the light of Christ. Most people do their evil works at night when none can easily see them. That is when most people often get into various kinds of trouble. We must live as if God is watching us, and as a matter of fact, He is! We were once darkness but now are light in the Lord. We must live as children of Light and please the Lord and have nothing to do with the fruitless deeds of darkness but rather expose them, (Eph. 5:8-17). So let us clothe ourselves with the Lord Jesus and refuse to indulge in the desires of the flesh and make provisions for it, ( 2 Cor. 6:14-15). "You are the light of the world. A city set on a hill cannot be hidden. 15 Nor do people light a lamp and put it under a basket, but on a stand, and it gives light to all in the house. 16 In the same way, let your light shine before others, so that they may see your good works and give glory to your Father who is in heaven." (Matthew 5:14-16). May we watch vigilantly and understand that our time here on earth is short and that our salvation is nearer than when we first believed. May we war valiantly and lay aside the evil works of darkness, our old life, and put on the garments of Light. May we buckle on the armor of Light and prepare to make our stand as good soldiers of Christ. May we walk in a manner worthy of the Gospel and renounce to sin. May we clothe ourselves with the Lord Jesus and wait victoriously. May we never make provision for the flesh regarding its lusts. May we wake up to the Light of God and dress up with the Light of God. May we take off our night clothes of sin and put on our day clothes of righteousness. And finally, may we wake up and rise to obedience to Christ, for this is the life that pleases God.